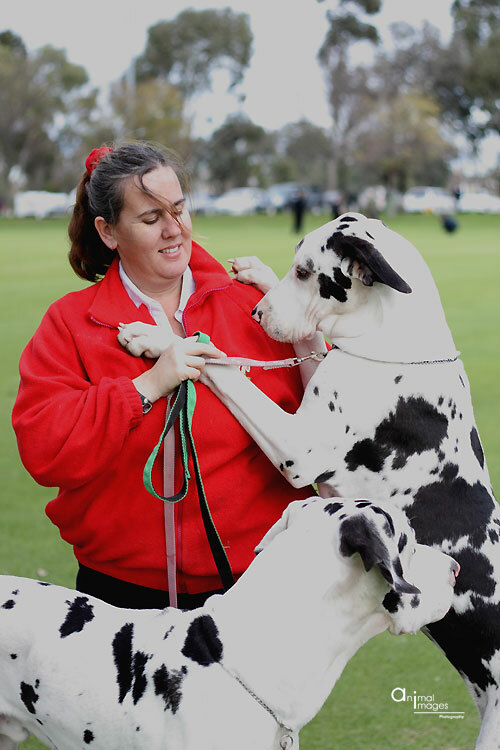 Welcome to Cymroz Great Danes located in Perth Western Australia,Cymroz Great Danes,pronounced SimRoz, Cymru being the welsh word for Wales and Oz being Australia. We are a small family breeder, of Great Danes.Our dogs are raised around children and other animals. 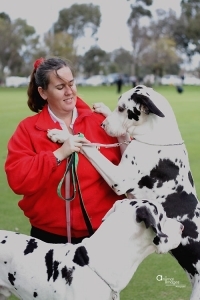 We have had danes since 2001,my daughter and i have been showing since early 2010. Feel free to browse around and contact me with any enquires. Our Danes are health tested before breeding, for Hips/Elbows, Eyes, Heart and Thyroid, all results may be sighted but will not be copied and supplied, they remain the property of Cymroz Great Danes.